In 1994-95 Troy received the “Rookie of the Year Award” from one of the largest Real Estate companies in the world. He realized quickly that getting his name out and marketing was a key ingredient to a successful career in Real Estate. The next logical step was purchasing an office with the most recognized real estate logo in the world – RE/MAX. Lastly, Troy needed a team of top professionals, he created “The Reeves Team”. This was a new idea in the real estate market at the time. Nobody had tried this approach. After spending most of his time in his car, Troy decided a traveling billboard was in need – not just an average vehicle but a powerhouse. Thus, HUMMER became The Reeves Team Trademark, in 1997. With the success of the “One Hour Return Call” and implementation of the “90 Day Sale Guarantee.” Troy and his team became one of the Top Ten Real Estate Agents in Arizona. Next on our list of marketing ideas, providing the Highest Level of Service a Real Estate Agent and his Company can provide. Troy Reeves, Owner From the very beginning, Troy began to shape his business pursuing unique and inventive marketing ideas to increase his name recognition and improve business. The Reeves Team has built a reputation not just on promises, but on guarantees. Based on their commitment to world class service, they guarantee a return phone call within one hour. In addition, many of their clients have been thrilled to have their home sold under the Reeves Team’s 90 day sales guarantee. 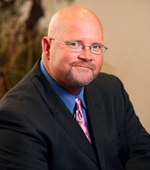 Licensed team agent, GlennMarlin, has worked with Troy in a professional capacity since 1987. Since that time, they have built a relationship based on mutual respect and shared professionalism. 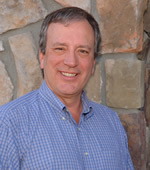 Glenn has resided in the East Valley since 1972, when he relocated from the Midwest to attend Arizona State University. After graduation in 1975, he embarked on a successful sales career that is still keeping his interest. Glenn has seen the landscape of the East Valley real estate change dramatically since his first real estate transaction back in 1978. 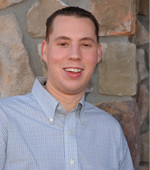 Josh Coplan, licensed agent, came to The Reeves Team with a degree in Marketing and Communication. Josh has brought many fresh marketing ideas to the team which he has implemented in his daily routine with clients, and that resulted in an award winning year for Josh & The Team. His enthusiasm and work ethic has become infectious throughout the office. 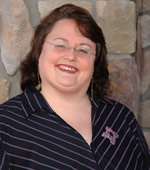 Lora has been with the Reeves Team for more than 4 years now and is the best in her field! Troy says, “She has been the reason for our tremendous success.” Being a licensed agent and having the experience of overseeing hundreds of escrows, there is no one more qualified to coordinate a transaction than Lora. I wanted to write this email and let you know what a pleasure it was working with Jason Moncur over the past weekend (March 28-30). He was nothing but professional and very easy to work with. He showed us what we requested and added his opinion without trying to sell us on every little point. We told him upfront that this was a visitation for the purpose of evaluating the Gilbert area, and see if this was a fit for us in the near future. I don’t know for sure if we will make the Gilbert area our home but if we do decide to return, Jason will be our choice to make our relocation and home purchase happen. After selling a home with the help of this amazing group and keeping in touch for many years, we are again in a position to sell. Of course, we are confident to work with Troy Reeves and we know that his expertise is surpassed only by the integrity and sterling ethics clearly demonstrated in past business dealings. Thank You So much for the wonderful comment….We look forward to helping you and this vacant land you need to sell as well! I’m a real estate photographer serving the Scottsdale and Phoenix metro area. My base package is 25 fully edited HDR photographs for $95. I can also provide custom virtual tours, twilight photography, and I have a supra key. Hope this helps your Photography business Stephen, we get well over an average of 100 people a day landing on our Reeves Team Site! We are offering these prices till December 31st 2013 for all secured schedules. We have many local references (since 1983) to verify our excellent performance record and have never had a complaint. Please call for inquiries or to schedule a free assessment and/or quote. Thank you for your consideration and we look forward to having you as an additional valued client. We bought our home with the help of Glenn Marlin. Glenn provided us with the excellent service. I am a very demanding client. I expect a high level of customer service. We had many problems with our mortgage companies compentence. This was extremely stressful. Glenn kept everything going for us and dealt with my demanding personality. My hats off to Glenn for his great work.